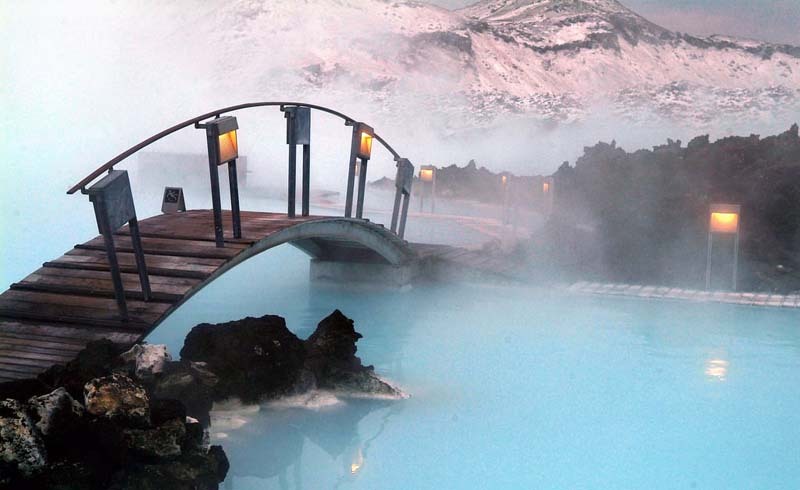 Many of us have the Blue Lagoon on our bucket list for its icy-blue steaming waters, but there's so much more the Iceland hot spot has to offer. Guests are promised a memorable and unique experience complete with food and drinks, spa services, and cool facilities. There's more to it than a hot soak, though that's definitely worth going for alone. 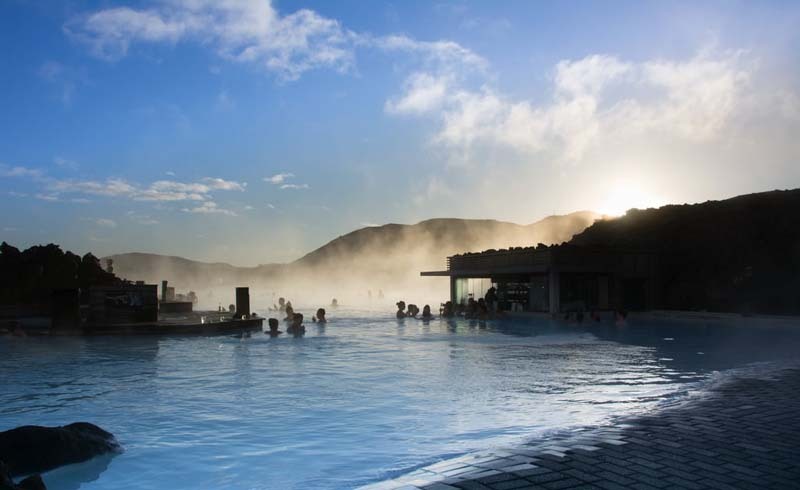 The Blue Lagoon is only 20 minutes from Keflavik International Airport (50 minutes from Reykjavik), so it's best to stop by first thing or before your flight back. You might even be surprised about the six things you learn ahead. See everything you need to know about making the most of your visit. During peak season (from June until the end of August), Standard entry, which comes with a silica mud mask, starts at ISK 6.100 (about $54). 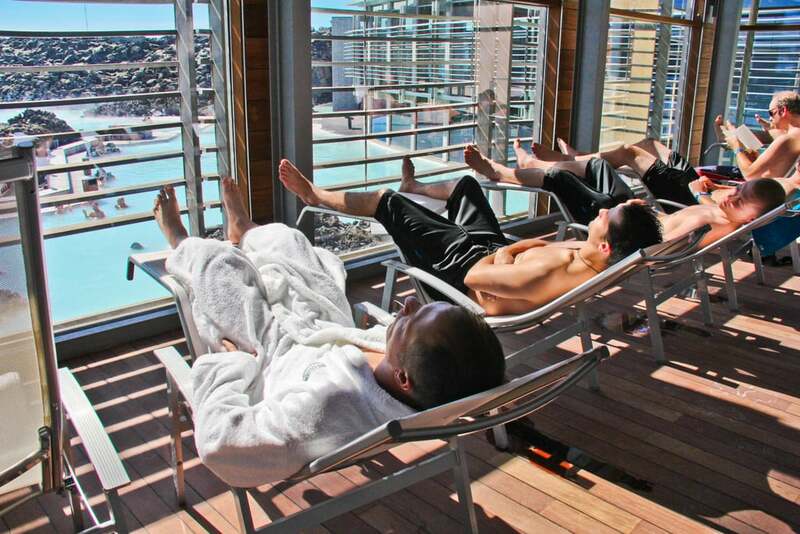 According to the site, the most popular package of the four offered is the third-tier Premium option (ISK 10.200 or $90), which includes entry, silica mud mask, towel, drink, algae mask, bathrobe, slippers, an optional reservation at their Lava restaurant, plus a glass of sparkling wine there if you choose to dine. Sounds like the best option to get the most bang for your buck! Amazing spa amenities are included with your entry fee. 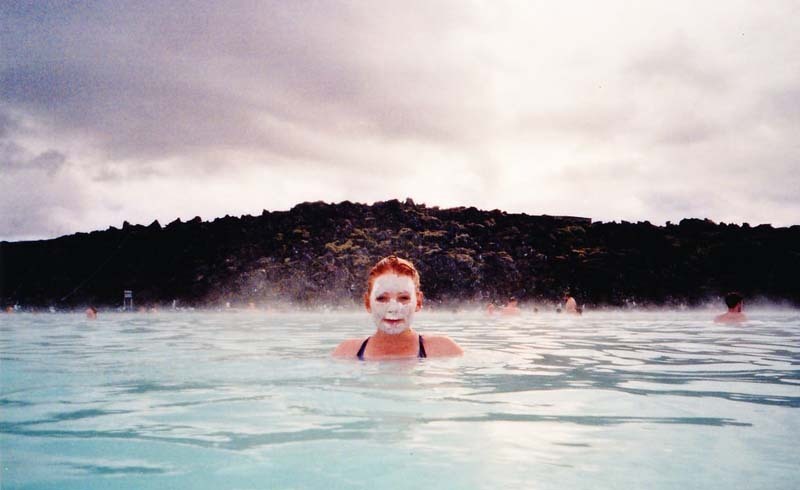 In addition to the complimentary silica mud mask that come with Standard entry, everyone is granted use of the facilities. There's saunas and steam rooms, a waterfall, and a relaxation area with soothing music, comfy seating, and amazing views. 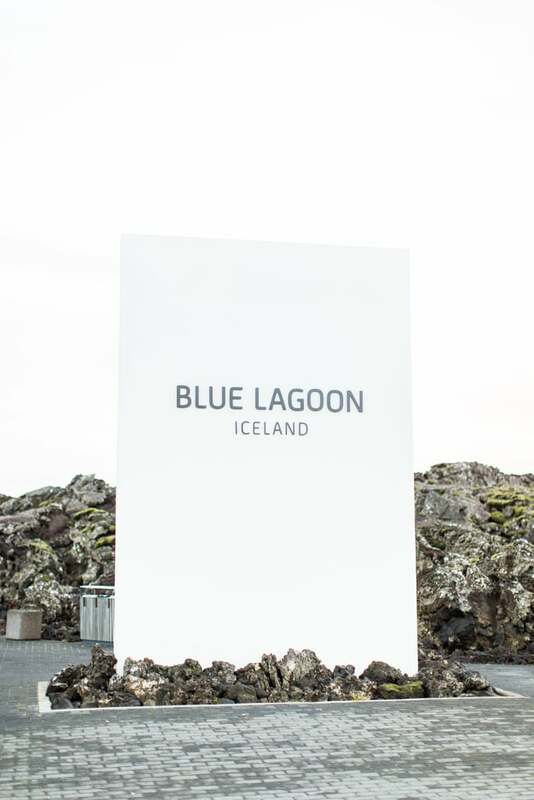 If you really want to get the full treatment, the Blue Lagoon also offers relaxing in-water massages. If you choose the Luxury package (ISK 26,500 or $234), which gets you everything the Premium option offers, you also receive a spa product set and free admission to the Exclusive Lounge. Guests can enjoy their own shower and changing room (single or double), and complimentary skin-care products. The lounge features a fireplace, designer furniture, and an outdoor deck. It's extremely private and never accommodates more than 12 guests at a time. 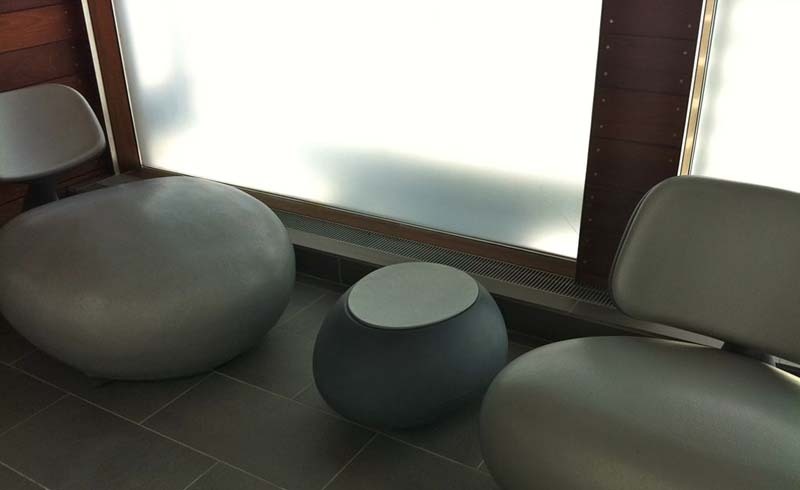 Without the luxury option, you can still purchase entry to the lounge separately. It features a restaurant and cafe. The Lava Restaurant is built into a lava cliff and oversees the lagoon. 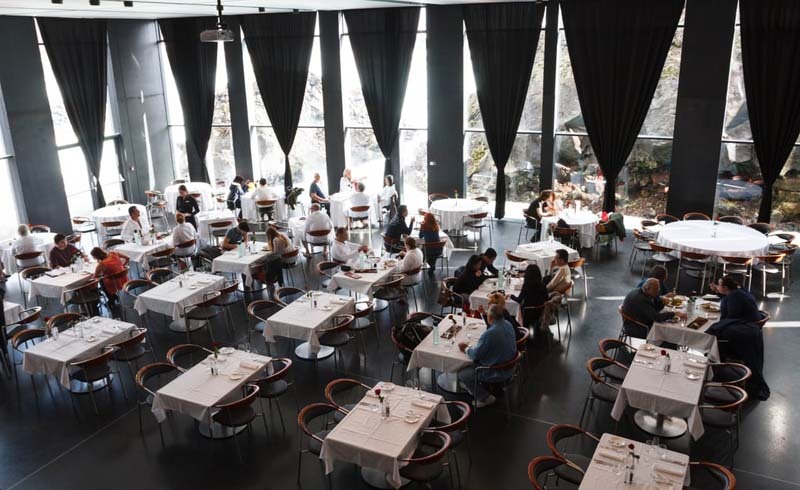 It's a perfect spot to enjoy a relaxing lunch or a romantic gourmet dinner later in the evening. For a more casual setting, Blue Cafe's bright and open space is ideal for grabbing a bite to eat in between soaks or sips of coffee. The cafe offers light bites, on-the-go food, sandwiches, and healthy snacks. Seating is available both inside and outside. You don't have to leave the lagoon for a drink. The lagoon's swim-up bar serves smoothies, slushies, wine, and beer. You don't even have to carry cash on you. Make charges to your entrance bracelet and pay before you leave. The lagoon is actually not a natural wonder. You might not want to dunk your head in the water. The lagoon originally formed as a reservoir of runoff water from a geothermal power plant in 1974. People noticed the milky water's skin-healing properties and more and more used the area to bathe. 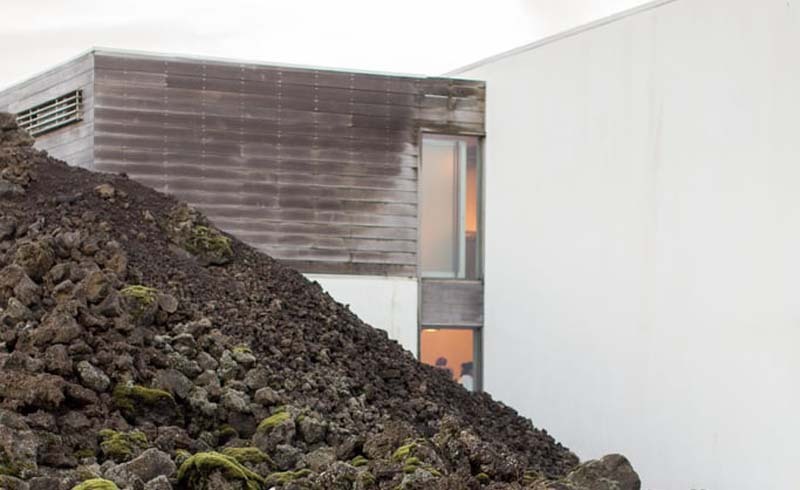 In 1999, it was moved to a nearby lava field, where it stands today. Though the waters are fantastic for treating psoriasis, they may cause damage to your hair. If you have colored hair, it could very well be stripped. The lagoon's site suggests keeping your hair up in a shower cap and leaving in the complimentary conditioner provided at the showers.